Whilst at St. Catharine's he was indeed actively involved in the Boat Club, winning the Fuller Cup for Senior Sculls in the 1952. I believe the Fuller Cup is a College prize for an open sculls competition. 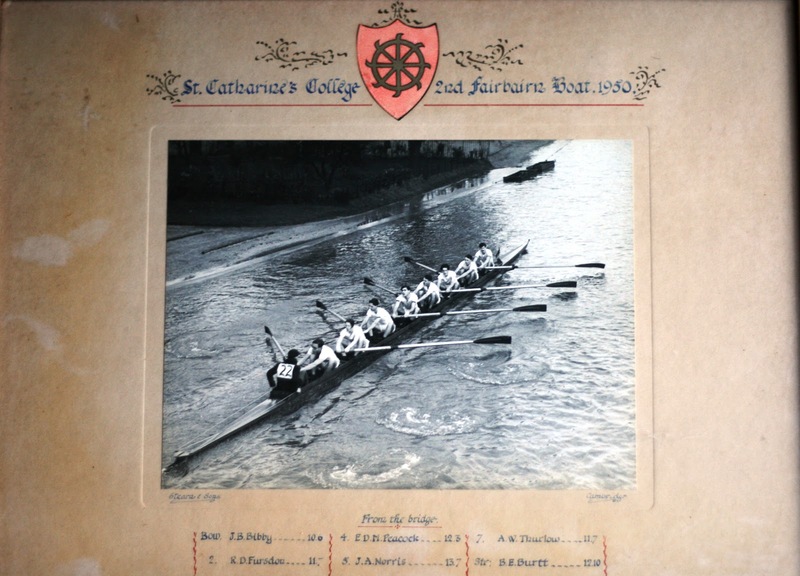 The College's Boat Club minute book for the period record Burtt as a member of the Club from his arrival. In Michaelmas Term 1949 he rowed in the 2nd Division 3rd Boat at number 4 and the boat moved up 11 places. In the 1950 Races Brian was in the 2nd VIII almost continuously. In 1951 he moved up to the 1st VIII. The minute book also records Brian's victory in the Open Sculls (Fuller Cup) competition in Lent Term 1952. Thanks again go to Elizabeth Ennion-Smith the Archivist at St. Catharine's College who supplied the information in these 3 posts. BA with Honours despite his Rowing!